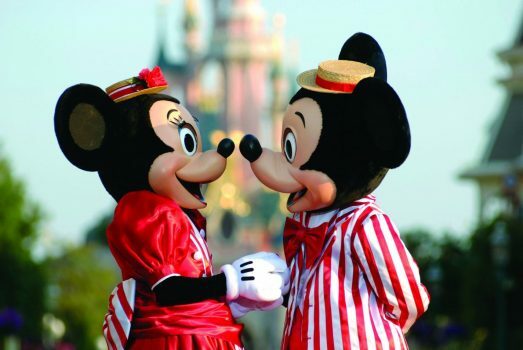 Beat the January Blues with a New Year trip to Disneyland® Paris! With Christmas a distant memory and the Winter seeming to never end, why not escape for a post-festive trip to Disneyland® Paris and beat the January Blues. And with January being one of the cheapest times to experience the magic, it’s the perfect excuse to take a bargain New Year break! Discover the world of Disney brought to life through fairytale, magic and imagination in the Disneyland® Park. Set sail on a swashbuckling cruise into villainous territory on Pirates of the Caribbean or zoom through the galaxy at warp speed on Star Wars™ Hyperspace Mountain. Step through the studio gates at Walt Disney Studios® Park and immerse yourself in the fascinating world of film and animation. Plunge 13 unlucky floors on The Twilight Zone Tower of Terror™ or shrink down to the size of a rat on Ratatouille: The Adventure. Special seasons and events such as Star Wars™ Legends of the Force* and the Festival of Pirates and Princesses* give an extra reason to visit Disneyland® Paris at this time of year. We have various packages available at all Disney® Hotels and are able to tailor-make a package to suit your needs and budget. *Disneyland® Paris seasons and events for 2020 subject to confirmation and not guaranteed. Transport is currently not included. Experience big thrills on Big Thunder Mountain and Indiana Jones™ and the Temple of Peril, or enjoy some family fun on Mad Hatter’s Teacups and Buzz Lightyear Laser Blast. 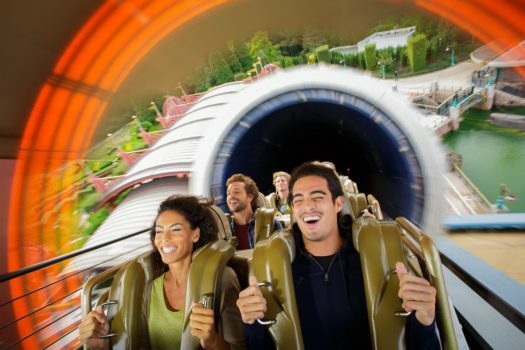 See the world of movies and television come alive in the Walt Disney Studios® Park. Must-do attractions include The Twilight Zone Tower of Terror™ and Crush’s Coaster®. Make sure to check out Ratatouille: The Adventure, a ride through the sights, sounds and smells of the sewers of Paris and Gusteau’s kitchen. A 4D thrill for all the senses is not to be missed! Prices are based on a minimum of 12 paying passengers per group. Package prices are per person. Child price valid for children aged 3-11 years. Prices are subject to package & room availability and are not guaranteed. Prices do not include any transport or travel insurance. Prices based on the current exchange rate and may be subject to currency fluctuations. Shows, parades and events are subject to change, postponement or cancellation without prior notice, particularly in the event of bad weather. Pictures are for illustrative purposes only. ©Disney.